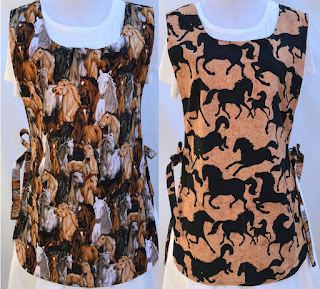 Well....you can tell what this subject is about just from the title. We are making new aprons every day. 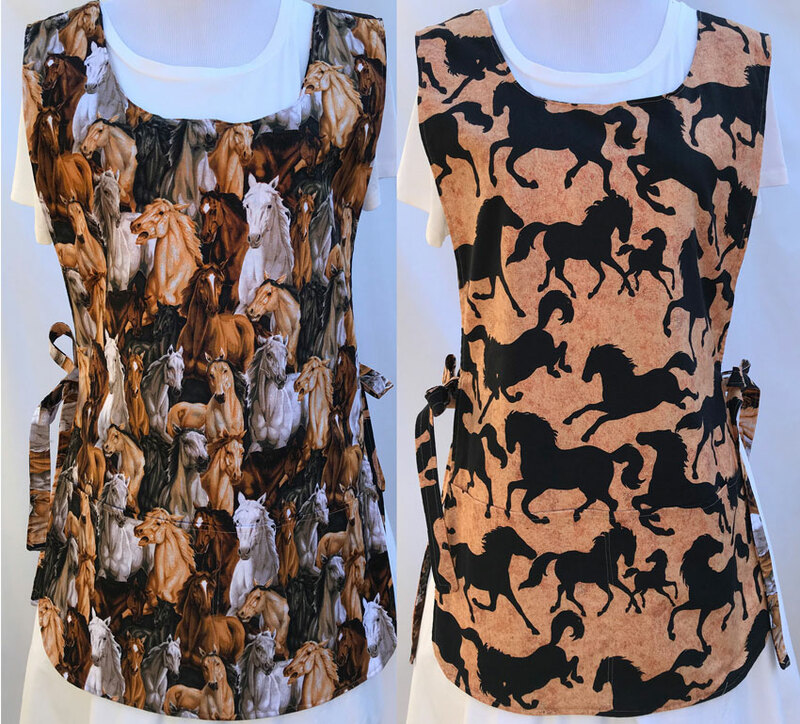 Many of the reversible aprons at Country N' More, are one-of-a-kind. 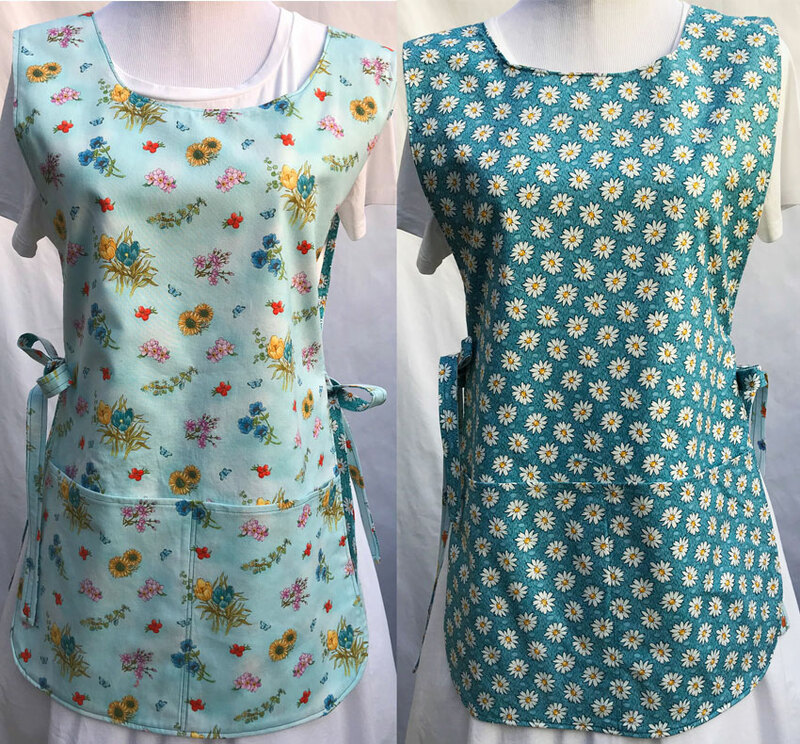 Our handmade cobbler aprons are completely reversible. 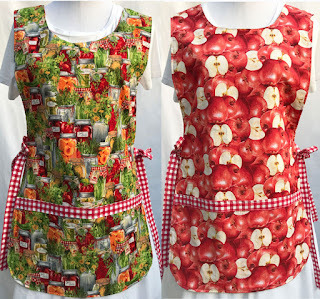 We have been making reversible cobbler aprons since 2003 and we have customers as far away as Norway. 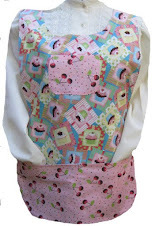 One of the aprons that we sold several years ago, was used in the movie, "One for the Money." 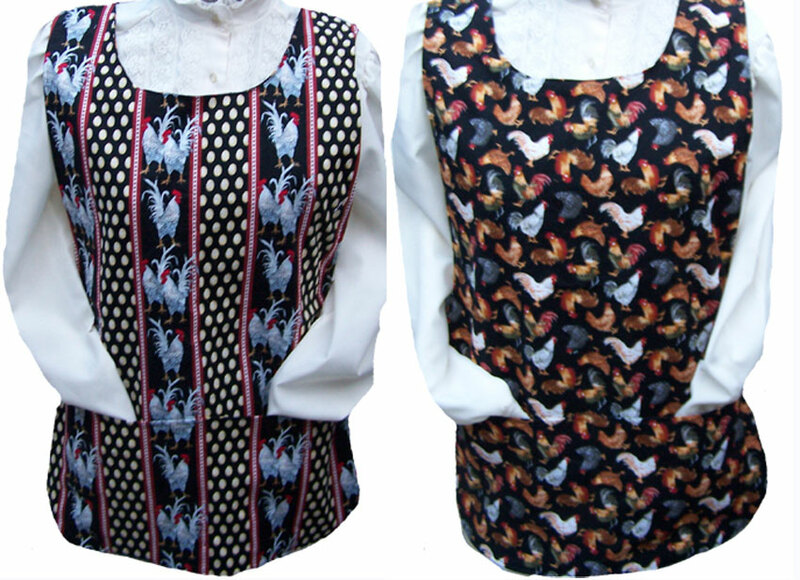 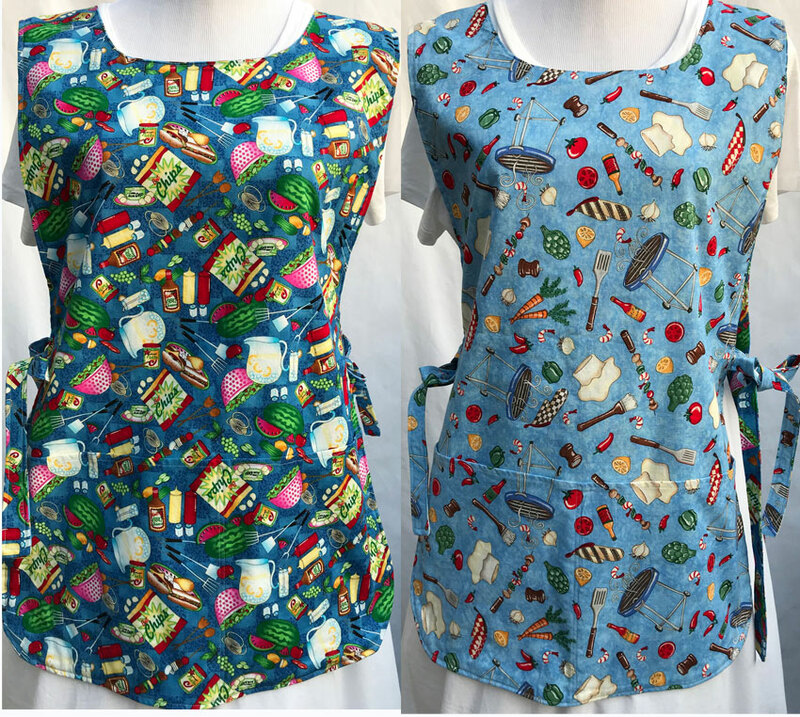 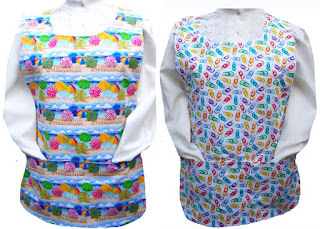 These aprons will fit sizes large, x-large, and 2XL The beach and the chicken theme aprons were last made several years ago, while the other aprons have never been seen by our customers. 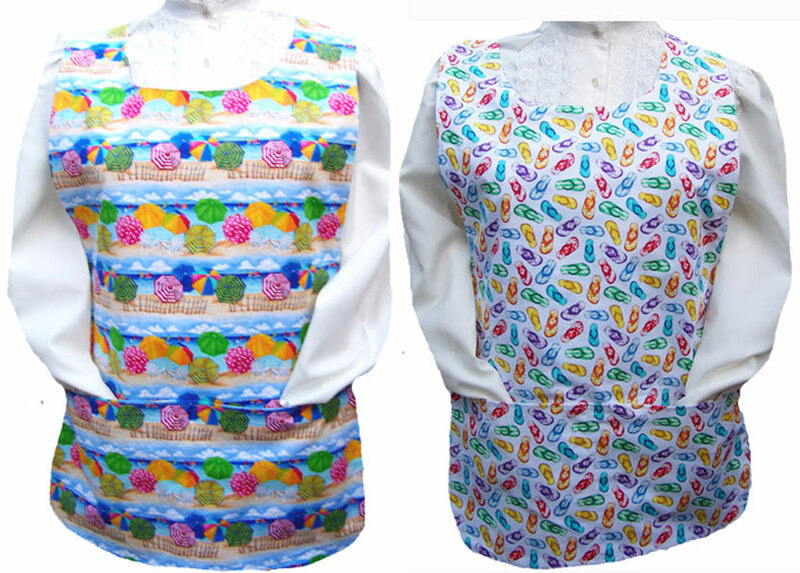 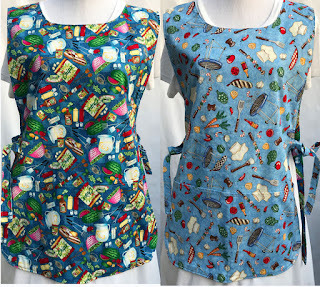 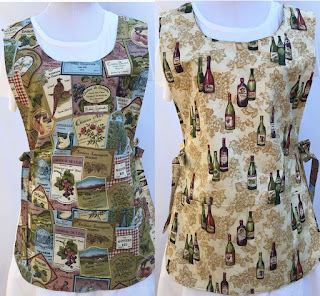 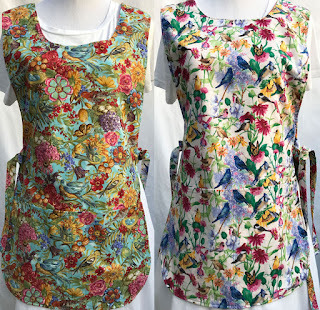 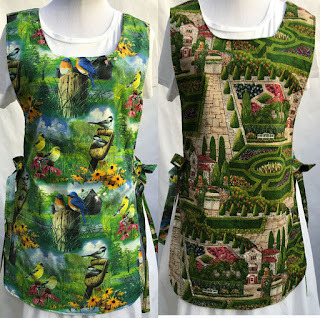 Below are reversible cobbler aprons in size medium. 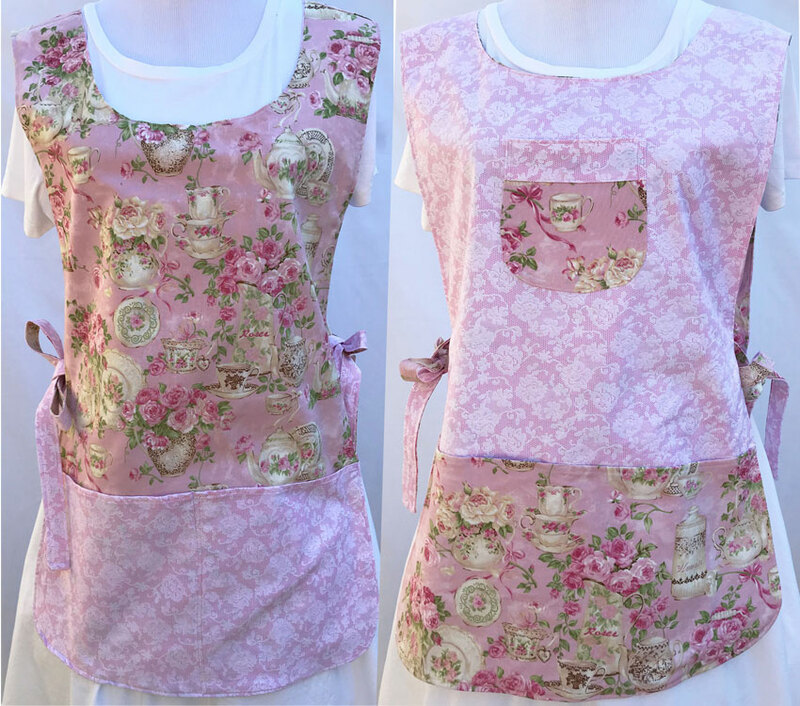 We are trying to expand our inventory to include more plus size and medium size aprons.